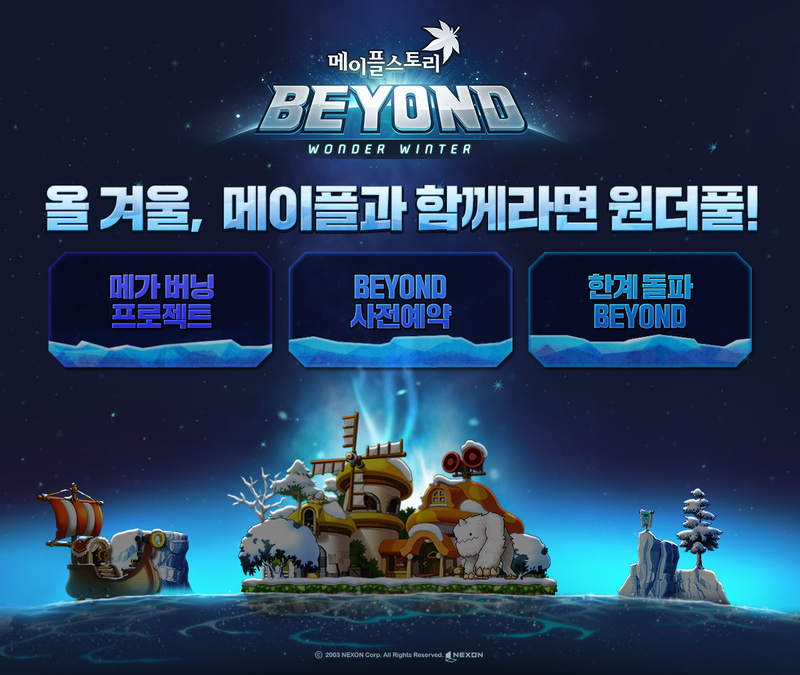 Nexon Korea (CEO Park Jiwon) announced on the 22nd that it carried out a large-scale winter update "BEYOND: WONDER WINTER" in the popular online game "MapleStory". Beyond: Wonder Winter is the first order in a large-scale winter update of MapleStory, which will be held until early February next year. It features a new content "Dream Breaker" and reorganized "Mureungdo Changsang". First of all, "Dream Breaker" is a new high-level content that can receive a lot of benefits after completing a given mission for a limited time. Characters can participate at level 220 or higher. Depending on the stage in which the final mission is accomplished, you can receive a "Dream Coin" and experience points that can be exchanged for "Arcane Symbol: Resolence". In addition, the weekly ranking is registered according to the cleared stage and time, and compensation is provided such as a "character statue of top user". In addition, 'Mureungdojang' contents are expanded from the 41st floor to the 63rd floor, and the monster tendency system such as "Infite", "Outboxing", "Anomaly" is introduced. In addition, "Mega Burning" project will be held until January 18 next year. Give the character designated by Mega Burning a maximum of 130 levels, giving you a +2 level when you level up, and give you a "Gift Box" reward including "Snail Pet" and "Black Suit Kit". In addition, Nexon increased its expectation by releasing the video of the new "5th skill", the main content of the second "Evolve" update, on its homepage. Also, users who participate in advance booking events until Jan. 3 next year will receive a gift worth 70,000 won including "Miniclip". More information can be found on the game's official website.